the canDIshhh tales: Contest ALERT: J&J Baby Bedtime Goodies! To celebrate the one month of my baby girl tomorrow - let me have a pa-contest! 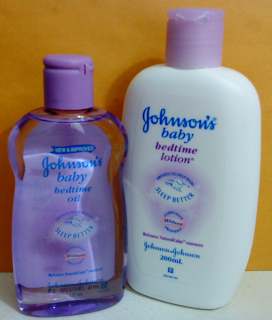 I will be giving away these two J&J Baby Bedtime goodies! Its that simple, you can join as many times you want! Contest will start today and end on Monday - April 11, 2010 at 11:59PM! Entries received AFTER the cut off will not be included in the raffle!! I wish Kailee to be a smart and loving girl to ehr parents when she grows up! happy 1st month kailee! stay healthy! Happy 1st Month Kailee! I wish you to stay healthy and be free from harm. May God shower you with love and happiness. You are blessed.